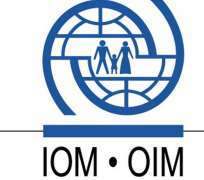 GENEVA, Switzerland, March 31, 2015/African Press Organization (APO)/ -- IOM, with funding from the Italian Development Cooperation has launched the “MIDA Women Somalia II” project. The launch kicked off with a seven-day Pre-Implementation Training on social business start-up and management of small socio-economic businesses with Amoud University in Hargeisa, Somaliland. The project will impact on the ongoing reconstruction and stabilization process of Somalia through supporting the active role of qualified Somali diaspora normally residing in Italy, especially women. More specifically, MIDA Women Somalia II supports, through combined IOM and Italian Cooperation funds, viable economic and social development projects focusing on agriculture, food security and health. The project targets vulnerable groups such as Internally Displaced Persons (IDPs) and brings together, from the Somali diaspora, Italian local institutions, Non-Governmental Organizations and Civil Society Organizations in a decentralized co-development approach in Somalia. MIDA Women Somalia II builds on the commitment of both IOM and the Italian Development Cooperation to support migration and development initiatives. This initiative also aims to reach remote areas in Somalia with small development activities that will meet urgent needs and provide assistance for the local population. In previous years MIDA Women (phase I) has supported the implementation of a range of small projects mainly aimed at micro-finance, revolving fund education and health in four regions of Somaliland (Hargeisa, Borama, Berbera and Burao) with different local organizations selected by the Italian Somali Diaspora. “SEDO Organization”, a local NGOs based in Berbera, implemented an education project in one of the IDP camps in Berbera reaching out to 60 people. Forty children were assisted to go to primary school receiving a pair of uniforms, books and pens for a period of one year; 20 teenagers (12 female and 8 male) who were school dropouts, received computer skills training. The MIDA strategy – Migration for Development in Africa – embraced by IOM since 2001, promotes and supports an innovative approach in international cooperation, aiming at making migrants active in the socio-economic growth of their countries of origin. The MIDA programme assists in strengthening the institutional capacities of African governments to manage and realize their development goals through the transfer of relevant skills, financial and other resources of Africans in the diaspora for use in development programmes in Africa.